Brazil to Earmark US $300 Million for Rio "Federal Intervention"
Home / Brazil / Featured / Law / News / Public Safety / Brazil to Earmark US $300 Million for Rio "Federal Intervention"
Brazilian President Michel Temer is to earmark some U.S. $300 million for the military intervention on the public security apparatus of Rio de Janeiro state. The official announcement was made this Tuesday (March 20). The previous estimate had stood at U.S. $242.5 million. 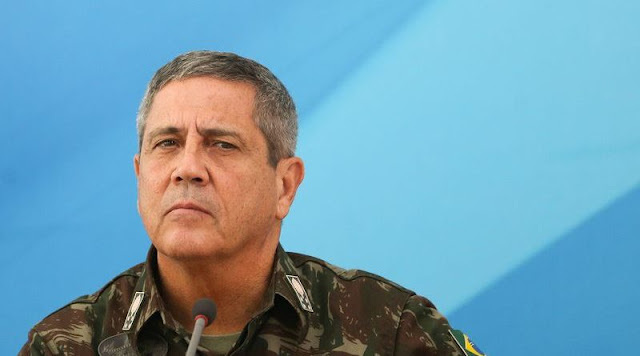 The amount is lower than the $940 million announced Monday (March 19) by General Walter Souza Braga Netto, appointed to spearhead the intervention, who said the value was needed to cover debts with suppliers and bring the pay of security agents up to date. Of this number, U.S.$455 million was to be released still this year, Netto said. The account was brought forward by General Netto at a meeting with lawmakers in Rio. According to the Congress members in attendance, the General stressed the need to raise U.S. $455 million for the necessary measures this year and U.S. $485 million as ordinary spending on the state’s public security. Finance Minister Henrique Meirelles yesterday said that these funds could come from retaxing paychecks in the business sector—a bill currently under deliberation in Congress. The bill is one of the 15 priorities listed by President Michel Temer as an alternative to balance out public accounts after the vote on country’s pension overhaul was postponed. Also yesterday, lower house speaker Rodrigo Maia said that the difference in the amounts for the intervention could be tackled as part of the discussions regarding the bill already being considered in the lower house and the measure by the Executive branch to earmark funds for security. “It’s going to be submitted to Congress and then we put in some more,” he said. NOTE: Last month, President Temer met with politicians and members of his cabinet on February 19 to discuss an executive decree he signed on February 16 allowing the military to assume control of security operations in Rio de Janeiro. During that meeting, several key officials have floated the idea of expanding the use of federal military operations to combat crime throughout the country.